Too Busy to Assess Your Risk? Many small business owners are so busy these days that they have little time to slow down and properly analyze their risks and business insurance needs. And it’s no wonder. Small businesses from Reading PA in Berks County, to Philadelphia, Allentown, Lancaster, and all across the nation drive a significant portion of the country’s economic growth. However, they tend to be lean, which means the typical small business owner is wearing many hats and putting in long hours. Many are too busy to take the time to properly analyze risks, and to obtain adequate insurance protection to address the risks of their growing businesses. Just How Big Can a Small Business Be? Statistics available from the US Small Business Administration (www.sba.gov) indicate that small businesses employ more private sector personnel than mid-sized and large businesses combined. In the US, small businesses are generally defined as manufacturing businesses with less than 250 employees, and non-manufacturing companies with under $7 million in annual receipts. Small businesses are the engines of private sector economic growth, creating approximately 2/3 of new non-government jobs while generating over 40% of the private payroll in the US. Small businesses account for a similar proportion of total US high-tech jobs as well. Who will run my business if I become disabled permanently or for an extended period? Will my company have the financial resources to pull through this type of crisis? If I die will my business survive? Will my employees all lose their jobs? Will my family be able to keep our house and maintain a good lifestyle? What if a person who is vital to my business dies or becomes permanently disabled? Will my business have the financial resources to survive until a new person can be found, hired and fully trained, or will it set me back several years? 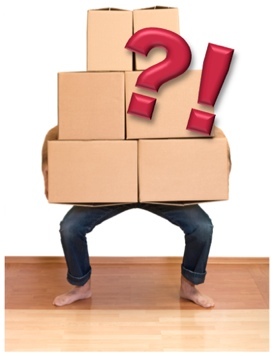 Are my employees properly classified for workers compensation insurance? Could my business survive a workers compensation insurance audit without undergoing major penalties for misclassifying employees? Is my workers compensation insurance coverage fully up to date to reflect my changing business needs and the expanded types of positions my employees currently hold? 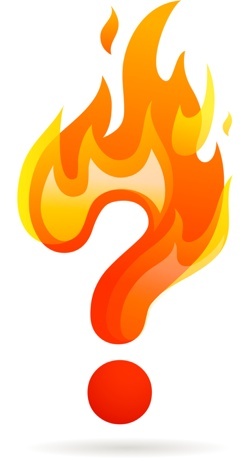 Are my buildings, equipment, and other business property insured against the full range of potential risks? In the event of a claim that disrupts my cash flow for a prolonged period, will I receive compensation for the loss of income during that time, or merely for the cost of the damage to my business property? Am I covered if an employee were to cause harm to a customer or to their business, and a court found it to be due to negligence? How vulnerable is my business to various types of lawsuits? 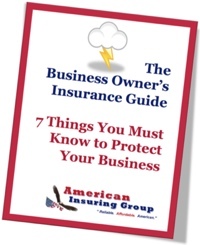 Our staff can properly address these and other business insurance questions. 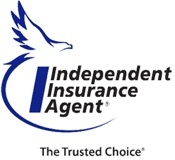 We’re a Trusted Choice independent insurance agency. 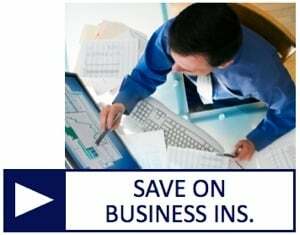 That means we offer a range of business insurance plans from competing insurance companies. 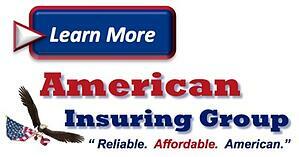 We’re well positioned to find the right business insurance coverage at a significant savings. Contact us today at 610-775-3848, or click to Contact Us online. Hurricane Sandy was one of the most destructive and deadliest hurricanes in United States history. Twenty-four American states and seven other countries were affected. Coastal towns once pulsing with beachcombers by day and clubbers by night were submerged within hours. Businesses were out of operation for much longer than ever anticipated and the damages sustained were astronomical. Catastrophes of this magnitude are rarely expected, even in the world of insurance. Sewers backed up. Equipment broke. Food spoiled. Power was lost. In the aftermath of Hurricane Sandy we discovered insurance protection that proved critical for restaurant owners, including: sewer backup, equipment breakdown, food contamination, and loss of sales/ loss of income due to extended power outages. We all know the quote from Jumanji: “A little rain never hurt anybody…but a lot can kill.” Well, a lot of rain can kill your sewer system. When more rain pours down than your sewer and pump can handle, raw sewage backs up and escapes in some less-desirable places, such as the bathroom faucet - need we say more? 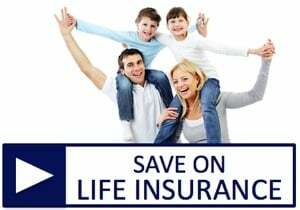 Unfortunately, most people do not realize that sewer backup is generally not covered under their personal or business insurance policies. 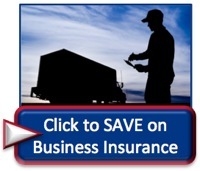 This additional coverage is not only recommended, but can be invaluable to your business. Equipment breakdown coverage is usually considered “optional” on an insurance policy. If just one of the primary machines in your restaurant breaks down, such as the air conditioner or water heater, you are probably not covered for fixing the equipment or for the loss of income sustained due to the failure. Be sure you are covered if 100 degree temperatures inside your restaurant due to an air conditioner failure turn away potential customers. No matter how diligent you and your employees are, food contamination and food spoilage can strike anyone in the restaurant industry. If a machine breaks or your power goes out temporarily and food spoils, you will be held personally liable for the expenses incurred unless you are insured for this type of event. Hurricane Sandy not only flooded businesses, but also caused large-scale power outages. 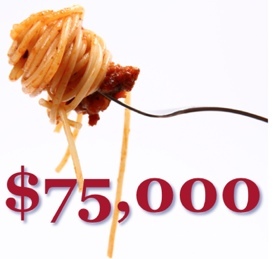 Is your restaurant covered for business income losses due to loss of power? There is a good chance the answer is no. Unless you have a best friend who sells generators and you specialize in candle-light dinners, power loss is never good. When power loss equates with income loss, you want to be sure you are covered. We all hope and pray that a disaster of this magnitude never again strikes our land and our loved ones. Yet, as we in the insurance industry know all too well, you can never be too prepared. 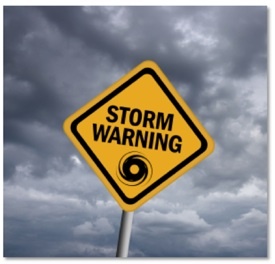 As restaurant owners, it should be easy to grasp the importance of insuring against these four risks that Hurricane Sandy uncovered. By being properly insured, you will be protected if the big rainfall that surpasses the five-inch prediction causes your sewer to back up. If storm winds topple the power lines down the street and you aren’t prepared to play Pioneer Days with your customers, you will be covered. If your employee mistakenly undercooks the chicken for your famous chicken piccata dish, you will be covered. If your air conditioner works overtime and decides to take a siesta for a day, you will be covered. Play it smart: contact us today to be certain that your restaurant business is fully insured! Have you recently started a new business, or perhaps suddenly come to the realization that your personal vehicle insurance may not fully protect you when using your car, van, or truck for business purposes? 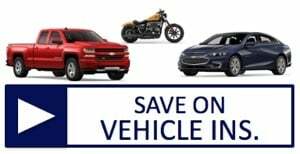 Although each insurance company has different guidelines for determining to what extent your personal vehicle may be insured when used for commercial purposes, it is nonetheless risky to assume your personal vehicle will be properly covered, if it is covered at all. 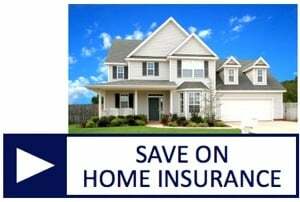 Rather than taking chances, consult an independent insurance agent to learn the details of your coverage, and to select the best insurance company and policy to meet your commercial insurance needs. The most obvious indicator that you are using your vehicle for business purposes occurs when you are using your car, van, truck, or other vehicle to transport merchandise or people, or to perform services for a fee. Who is Covered Under a Commercial Vehicle Insurance Policy? Unlike a personal policy, commercial vehicle policies allow you to cover any of your employees when your vehicle is used for business purposes. If your vehicle is driven by employees, that’s a sure sign that you need a commercial policy. Likewise, if your vehicle is owned under a corporate partnership, or used to haul heavy equipment, or to make deliveries requiring federal or state filings, then you definitely need commercial vehicle insurance protection. Commercial vehicle insurance policies generally provide greater protection than personal policies, with higher liability limits. However, it’s very important to make sure you are fully protected for both business and personal use if your vehicle is used for both. By now we hope you are thoroughly convinced that it is not worth taking chances with your commercial vehicle insurance coverage. Whether you hail from a larger city like Philadelphia or Allentown, or smaller areas like Reading or Lancaster, you need the right insurance protection. Please don't take chances with your future. 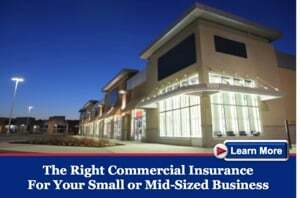 To learn more about commercial insurance for your car, van, truck, or commercial fleet, click here. Or, contact us online. 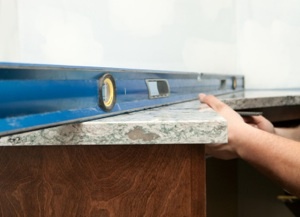 You may also reach us at (610) 775-3848. We’re independent insurance agents who stand ready to help you find the insurance protection that’s right for you, your budget, and your business. Providing workers compensation insurance for employees can be a significant expense, especially in industries prone to serious injuries, such as those requiring heavy or potentially dangerous machinery. While some employers may be tempted to misclassify workers as independent contractors rather than as employees in order to avoid worker’s comp insurance and other costs, the penalties for misclassifying employees as independent contractors can be severe. If you classify an employee as an independent contractor, whether to avoid workers compensation costs or purely by accident, and you have no reasonable basis for doing so, you may be held liable for employment taxes for that worker as well as incur severe penalties. See the IRS guidelines for determining employee vs. independent contractor status for more information. 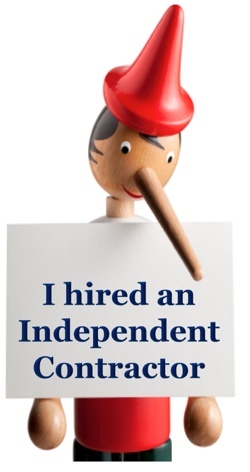 The above information is intended to be used only as an overview regarding independent contractor status. If you are in doubt as to the status of an independent contractor, seek professional advice from a local tax attorney, or get an opinion from the IRS by filling out form SS-8. The stakes for misclassification can be high, and disputes over worker status can be both expensive and disruptive to your business, sometimes resulting in crippling retroactive penalties. If you would like help in acquiring affordable workers compensation insurance for your business, please Contact Us. 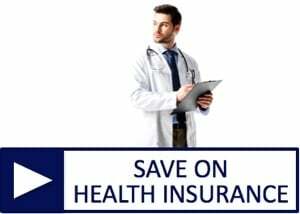 Our helpful and courteous team will help you obtain quality insurance coverage at an affordable price. To learn more about workers compensation insurance, please click below.